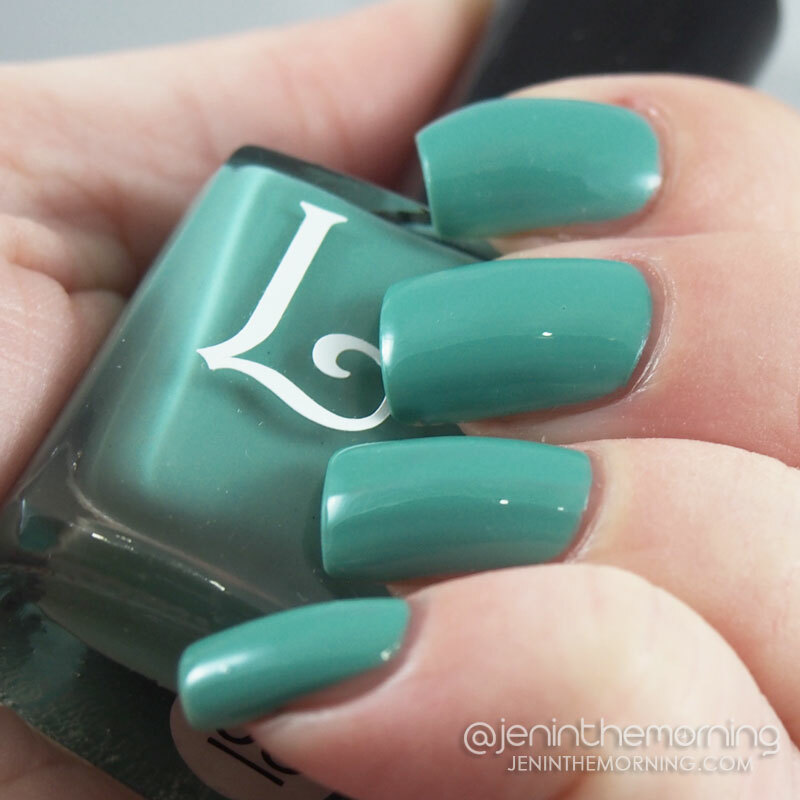 Today I am really happy to be able to review a couple of colors from Lucky Lacquer’s Fleur collection. I’m a big fan of creme polishes for both standard manicures and most especially for doing nail art and was really excited to see the available colors. I purchased Mint Daisy and Alpine Phlox. First and foremost, the polishes are 5-free which means they do not contain formaldehyde, dibutyl phthalate, toluene, camphor or formaldehyde resin! I’m always happy to find yet another company going the 5-free route. These little cuties came in individual yellow boxes and the bottles are square – I know not everyone cares about packaging, but I appreciate the extra effort put into presentation! First up is Alpine Phlox, a soft dusty pink color that is almost lavender. I really like this color! It would be great for Spring manicures, but because it has that dusty, muted quality to it, it would also work really well for Fall. Unlike many creme polishes, this one was not thick or goopy at all and I found it very easy to work with. The first coat was a bit streaky, but it built up very nicely! The website claims that this is opaque in 1-2 coats, but I still had a tiny bit of visible nail line at two coats so I did one more. That being said, each coat was so thin, that I don’t feel like I have a huge buildup of polish on my nails, even with 3 coats. Shown below with 3 coats and 1 coat of Seche Vite. Next up is Mint Daisy. I had to have it as soon as I saw it! The color is a bit more dusty than I realized it would be, but I am really happy with the color. Like Alpine Phlox, it has a dusty tone to it that makes it pretty much year-round appropriate. 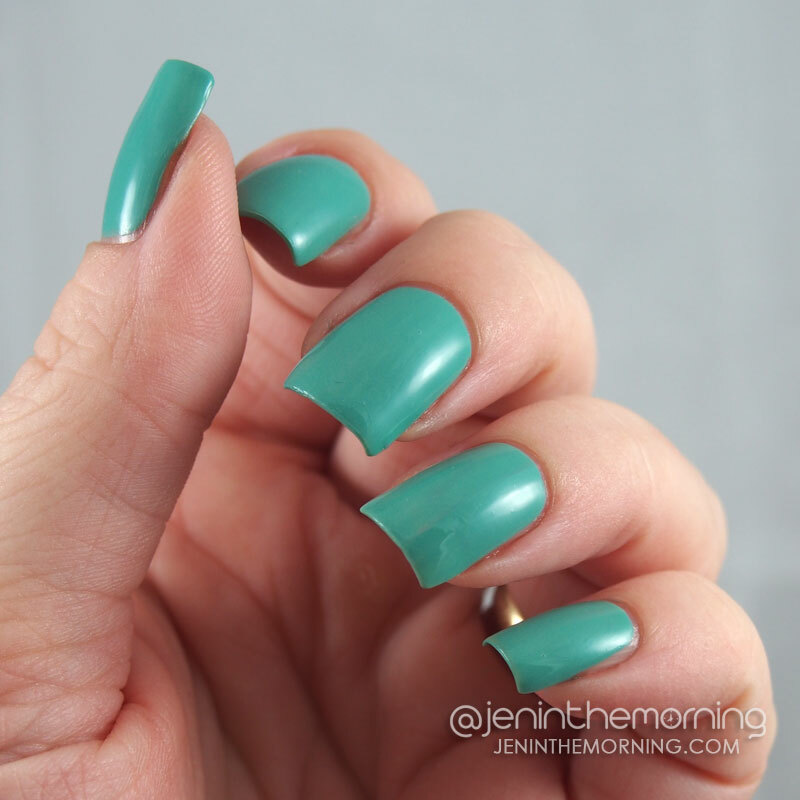 Mint Daisy is more opaque than Alpine Phlox and went on in two easy coats. I found the formula to be more typical of creme polishes. No goopiness and I had very minimal cleanup. Shown below with 2 coats and 1 coat of Seche Vite. Finally, for those who enjoy stamping, I tried both colors over black and white. 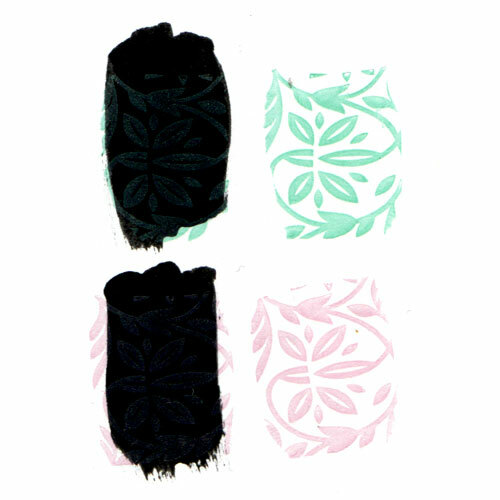 Unfortunately, these do not stamp well over black – they only barely show up. However, they look adorable over white! I really like both polishes, but Mint Daisy is my favorite and I had to do some nail art with it! I love the matted florals that Wonderously Polished does and prompted by the floral names of the polishes, I decided to give that style a try. I’ll be putting up a separate post about this floral manicure soon! Overall, I think these are great polishes. I think they are both good anytime polishes, though would perhaps be especially perfect in Spring. If you are interested in picking these or any of the other beautiful colors up, use code JENNIFER at checkout for a 10% discount at luckylacquer.storenvy.com! Matted Floral using Lucky Lacquer polishes!